What is a fire Sprinkler/Alarm detector? Fire sprinklers are sometimes called fire detection systems or detectors. 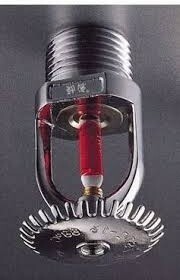 Drain Ratz installs and repairs all types of fire sprinkler systems/smoke detection and fire alarm systems. We employ certified engineers to meet your specifications and fire detection/fire sprinklers needs. Our experienced certified alarm technicians are able to service older fire alarm equipment to the most current state of the art equipment on the market today. Drain Ratz Plumbers & Builders does fire sprinkler alarm systems for local, remote station, proprietary fire alarm and remote station. We provide our customers with superb warranty coverage on fire detection and alarms, special fire hazards and fire sprinkler systems. Drain Ratz installs and provides several leading brands. We also have relationships with multi line distributors. You can rely on Drain Ratz For a 24hr response regarding any fire alarms, fire sprinklers/fire detection. May it be small educational facilities to high rise voice activated systems, Drain Ratz can acquire a fire sprinkler system to meet your needs. Drain Ratz installs, repairs, services and can monitor fire alarm and smoke detection systems. Also included are clean agent fire suppression systems and special hazard suppression systems. Detection systems, clean agent fire suppression systems, and other special hazard suppression systems. A fire protection system can protect lives and properties. We install systems for: military, paper mills, hotels, hostels, complexes, hospitals, luxury busses, railroad transportation, airplanes, ships, food processing places, etc. Our fires sprinkler installers are strongly encouraged to become SANS1013 and SANS246 compliant. They are also strongly advised to gain knowledge and experience in building codes and insurance requirements for a wide variety of building uses. Clean Agent Systems: SANS246 regulations for gas are very stringent. The use of inert gas type systems by using Ansul and Chemetron product lines. Both types of systems are designed to provide a safe environment for occupied areas and protect equipment especially systems that are not 100% water proof and can be in danger from water based fire protection systems. Very easy to clean up afterwards. Carbon Dioxide Systems: We use carbon dioxide the most to protect specific equipment like printing presses and engine turbines. We install these carbon dioxide systems in unoccupied areas that has an easy escape for the Occupants should the carbon dioxide be discharged. Foam Agents: Foam agents are normally used against flammable liquid fires.4. Special Hazards Drain Ratz install a wide range of Special Hazards systems for computers servers, transformers and telecommunications. The basic idea behind installing special hazards is to protect your everyday business and are critical for normal business operations. In order for Drain Ratz to install the correct type of hazard a few considerations must be taken. I.E building construction, occupancy and the type of hazard. The selection of the proper type of system will include the type of hazard, building construction and occupancy. Special Hazards systems can be clean agent, foam, c02, mini fog, spark detection systems, water spray etc. All of these systems will have a detection system and an alarm. If in doubt about fire detection/smoke detection, fire sprinklers, give Drain Ratz a call.